Ever been frustrated by legal research? Ha, just kidding. If you’ve ever performed legal research, you know that there is no “perfect” system. If you’re like me, you’ve identified about 100 things that you’d like to be able to do with legal research, but can’t (at least without a massive learning curve or 20 click-throughs). Moreover, you just KNOW that the system of typing in keyword searches and sifting through the results is hugely inefficient. If you’re not familiar with the interesting tech developments going on at Stanford University’s School of Law, you should really check it out. One of those projects recently spun out on its own: Ravel Law. 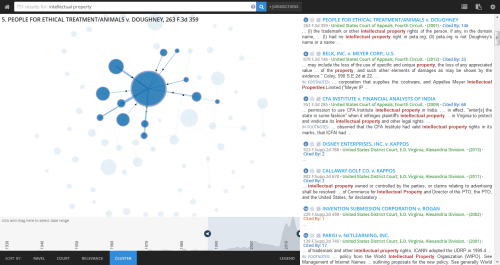 Ravel Law describes itself as “a new legal search, analytics, and visualization platform” for legal research. 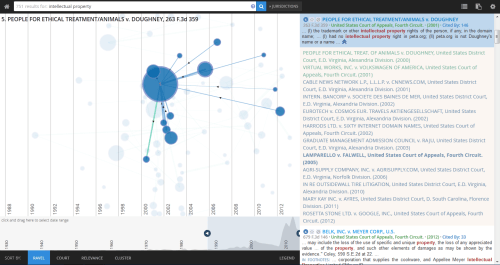 Using visualization tools unlike anything offered by the traditional legal research tools, Ravel Law wants to change the way you do research. Recently, I had the opportunity to take Ravel Law for a test toast. Ravel Law’s system can best be described as a new way to present legal research. However, there’s no escaping the fact that legal research platforms like Westlaw Next and Lexis Advanced all have significant learning curves. 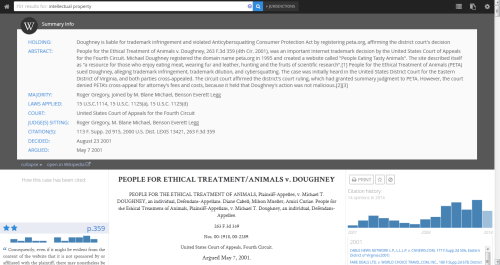 Moreover, there is a process that we have all become accustomed to: enter search terms, get a list of cases. Ravel Law, to their credit, did not mess with this formula. However, beyond that simple formula, what Ravel Law does will blow your mind. Visualizing my legal research, and putting important information in prominent locations. It looks quite intimidating, and it is. There is a lot of information that you need to digest when you’re doing legal research. However, with just a little exploration, you understand that when they said “a picture is worth 1000 words,” they were on to something! The results you get on your first search are what Ravel Law’s algorithm determines to be the top 75 cases for your search terms. Along with the list of cases you’re probably familiar with, you also get a visualization of those cases. The visuals can be sorted into one of four patterns: Ravel, Court, Relevance, and Cluster. The default pattern, and the one you see in the selection above, is the Ravel pattern. The visualization itself has two key parts, the pattern and the timeline. The pattern is the primary tool, showing you the cases as dots of varying sizes. The timeline gives you yet another interesting tool – a visual history, of sorts, of cases addressing this issue. Mouse over the dots representing the cases, and you get a whole new level of virtual interaction. By selecting one case, the image highlights the cases responsive to your search that the selected case cited to, and all the cases that cited to your selected case. The number of cites is demonstrated by the thickness of the connecting line, with the arrows indicating the direction of the cite. This look gives you a quick-glance idea of how influential the case you’ve selected is. The other methods of sorting return a similar visualization system, but with the dots arranged based on different criteria. Sort by “Court” and cases from higher courts will appear higher on the screen. Sort by “Relevance” and the most relevant cases will appear higher on the screen. The “Cluster” sort is a particularly interesting view, presenting all the cases most relevant to your topic at the center of a circular pattern. While the manner of locating your cases is incredibly important for legal research, Ravel Law understands that the true meat of any research system is in the case research itself. They don’t disappoint here, either. The cases are presented in a manner you will be generally familiar with if you have performed any legal research, with the main text in the center and related information on the peripheral. While many more senior attorneys might be somewhat reluctant to rely on a Wikipedia entry, Revel Law recognizes that most of the legal research that a firm will conduct will be done by younger attorneys. Younger attorneys who are much more likely to be comfortable with the information on Wikipedia. The case text is laid out in a clean, readable format. This was accomplished in two main ways. 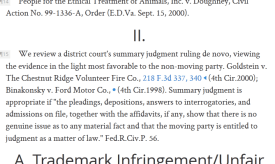 First, all footnotes are listed in the space next to the text, rather than relocated to a different part of the page. This allows for the text to remain clean, free of huge hyperlinks or unnecessary text. Second, the text as it appears on the screen has collapsed all of the case citations. 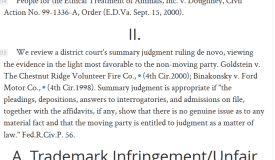 Given how irritating it can be to read through a paragraph that has four or five parallel-cited cases, this makes the cases much more readable. 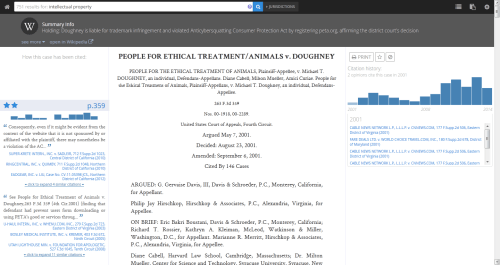 A blue dot appears where case citations have been omitted, and they are easily accessible by clicking on it. The other information contained in the periphery of the case is excellent as well. While there are too many features to discuss in this one review, my favorite is that as you read through a case, you see how many other cases have cited to that exact part of the case, allowing you to easily find sources that have discussed similar issues. Additionally, there are a number of other tools available, such as client alerts, collaboration tools, the Quick Brief tool, and the immensely helpful Star Reading System, all of which will improve the efficiency of your legal research. One tool that I did not have the time to explore is the Judge Analytics, which has the potential to be immensely helpful for litigators. Ravel Law does have its weaknesses. First, since it’s not the product of a major publishing house like Westlaw or LexisNexis, you don’t have the same access to secondary sources and treatises. However, one benefit is that unlike Westlaw or LexisNexis, who crowd their screens with links to secondary sources and treatises, Ravel Law is able to use that valuable screen real estate for important and useful information. Second, I found the jurisdiction selection part of the search to operate quite slowly, and at times was not organized in any fashion that I could ascertain (not alphabetically, or even grouped by state). Price: Basic plan available for free; with additional plans beginning at $100 per month (annual savings available). Key Feature: A visual look at your research. Ravel Law helps you dramatically reduce the time you spend looking for relevant cases by providing a visual map of the most relevant cases. See what case is cited the most, and whether the cases on your list are even relevant to your search without having to read through a single opinion. Fatal Flaw: While there are no fatal flaws, the most difficult thing for any attorney will be the significant learning curve required to get full use out of Ravel Law. Unfortunately, that’s going to be the case when adopting any new research system. 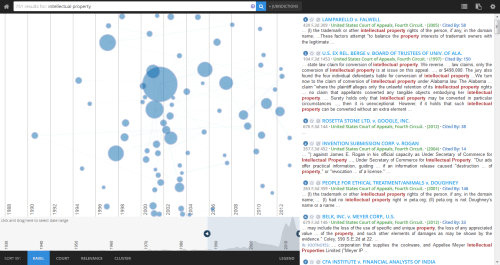 Ravel Law has created an amazing system for legal research. Stepping away from the basic method used by the main players up to now – a list of cases – Ravel Law’s visualization could be a game changer. Particularly now, in a world where shrinking legal budgets no longer allows for limitless hours of research, efficiency is important. I can envision a time in the not-so-distant future where the visual representation of your case search will be more important than the list of responsive cases when it comes to your research. If you’re not getting what you need from your current legal research platform, or if you’re the type of person who thrives on visual tools, I highly recommend giving Ravel Law a try. Hey very interesting read. I have come across another legal analytics tool recently called Juritool. http://juritool.com/features.html. On top of doing these incredible visualizations, it can predict the outcome of a case. Please check it out and review it if possible so that I have a better idea before deciding on purchasing it. Cheers.